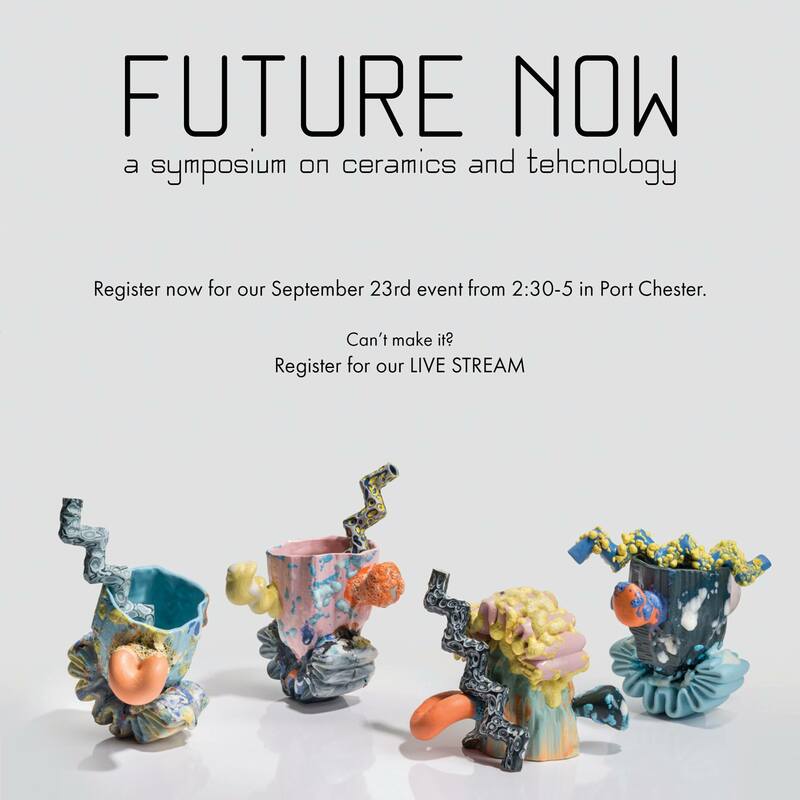 Please join The Facilities for Arts Research (FAR) for a live stream of Symposium: Future Now from The Clay Art Center in Port Chester, NY on Saturday, September 23, 2:15pm – 5pm. Clay Art Center brings a symposium that will focus on the emerging technologies within ceramics and how artists, museums, and industry alike are inventing new ways to push the envelope. The panel will be moderated by Bryan Czibesz, Assistant Professor of Art in Ceramics at SUNY New Paltz.